COTTER (British). "Son of Terrible Army"
1300, is still an open question. The sixteenth century Fiants have many references to MacCotters, all these being in Co. Cork. By the seventeenth century they had become Cotter. William and Thomas Cotter were Gaelic poets of that century whose songs have survived till our own day. Sir James Cotter was in command of King James II's troops in Co. Clare. His son. James Cotter (1689-1720), ended his life somewhat unjustly on the gallows. His son, another Sir James Cotter (1714-1770), having forsaken the religion and politics of his forebears, was created a baronet and among his posterity were a number of Protestant clergymen in Co. Cork, including Rev. George Sackville Cotter (1754-1831), who was translator of classical works of some merit. The name is still almost peculiar to Co. Cork. There are no less than eight place names in that county which incorporate the surname, e.g. Ballymacotters and ScartMcCotters near Cloyne." 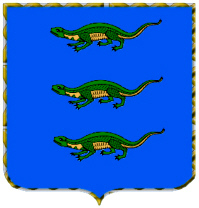 Coat of Arms: Blue shield three evetts [an evet or lizard ] in pale ppr. 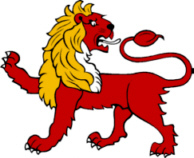 Crest: A lion passant reguard proper. The MacCotters (Mac Oiter) were seated at Carrigtwohil, near the city of Cork, The townland of Ballymacotter indicates their early presence in the area. It is interesting to note that the MacCotters, like the other Norse families in Ireland, the O’Hallorans and the O’Doyles, were settled in areas adjacent to coastal settlements which were originally Norse. ************************** 11 Betty Jean Matteson b: Corry Memorial Hosp Corry, Erie Co Pa.
My name is Dafydd Cotter (Welsh / Irish - a Celtic "all-sort"), and I live on the western (Indian Ocean) coast of Australia. Cotter is a common surname throughout North Western Europe which typically means someone who lives in a cottage, ie., a farm labourer, a tennant farmer, or such like. This name is found in Switzerland, throughout Scandinavia, Scotland (see Robbie Burns poem "Cotter's Saturday Night") and throughout the UK. My ancestors came to Australia from County Cork, Ireland, where the name Cotter had a different origin. The name Cotter in Co. Cork is of Norse origin. It is an abbreviation of MacCotter, and was originally MacOiter - son of Oiter - a common Norse name. The town of Cork was originally a Viking settlement, and several towns and villages in County Cork still bear this name, ie., Ballymacotters and Scartmacotters. I expect that the Cotter's from Co. Cork, Ireland are primarily from Dan through the Norse background, but the family name is also listed amongst the descendants of the Milesian kings (as are most Irish families! ), so other tribes are probably also included. Typically, the Cotters from Co. Cork have a ruddy complexion, and are unusually tall - the Guinness Book of Records mentions a Cotter as the tallest man in Ireland, I can't remember his name, but he claimed Brian Boru, the Ard Ri, as an ancestor (he too was unusually tall), so he changed his surname to Cotter-O'Brien. 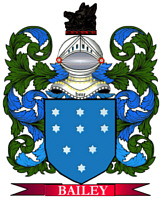 Other Cotter's also came to Ireland from Scotland, and they are associated with the Clan Macgregor. They were at one time notable in the Irish Protestant Church (Presbyterian), and were rulers of the City of Dublin. Spelling variations include: Cotterell, Cotterel, Cotteral, Cotteril, Cotterill, Cottral, Cottrall, Cottrell, Cottrel, Coterall, Coterel, Coteril, Coterill, Cotrall, Cotrell, Cottrle, Cotral, Cotraul, Cotrelly and many more. First found in Derbyshire where they were seated from very early times and were granted lands by Duke William of Normandy, their liege Lord, for their distinguished assistance at the Battle of Hastings in 1066 A.D. Some of the first settlers of this name or some of its variants were: Edward Cotterell who settled in Virginia in 1635; John Cotterell settled in New England in 1655; Timothy Cotterill arrived in Boston in 1765; Edward Cotteral arrived in Pennsylvania in 1772. 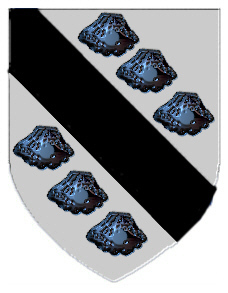 Coat of Arms: [same as Cotter] Silver with a black bend between six black escallopes.